THE WEEK AHEAD: 14th Dec. to 20th Dec.
Tuesday, 16th December, 2014: Only a short work day today as we will be having an ‘at home with Gill’ starting at 11.30. at her house. Work Party meets at Brownsters at 8.15 for breakfast or at the BW depot, Hebron Road Clydach at 9.00am. Work will begin promptly and finish at 11.00am. 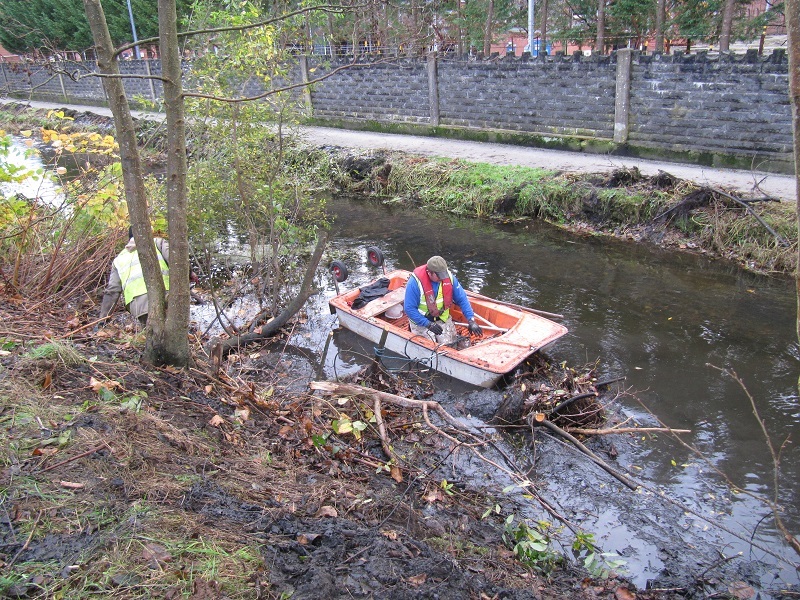 We will be trying to get as much weed, grass and reeds out of the channel close to Clydach Lock. Hand tools(rakes, drag forks, and similar) only needed. For Gill’s buffet, please arrive between 11.30 and 12.00pm. The buffet meal there will be followed by a visit to St. Peters Church, Pontardawe where our canal themed Xmas tree is one of many that decorate the Church entrance and nave. Wednesday, 17th December: Monthly Meeting in the Vardre Rugby Club, Hebron Road Clydach at 7.15pm. All welcome. Friday, 19th December. We have been invited by the Friends of White Rock to visit them at Smith’s Canal to assist in their renovation work. Meet at 10.00. at White Rock. Further details to be announced when received from FOWR.